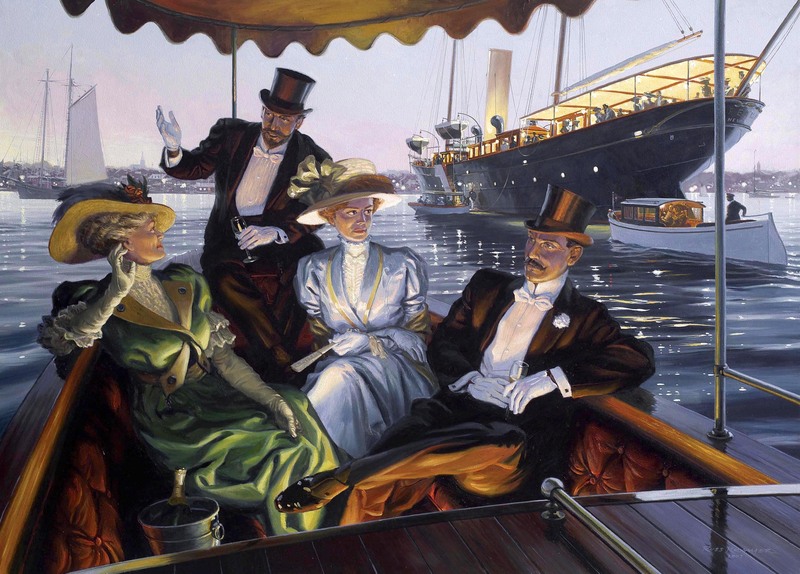 In the early 1900s, Newport Harbor was a favored destination for wealthy yachtsmen, as it remains today. Magnificent motor vessels and sailing yachts of every description would crowd together, many hosting lavish parties. Here, guests with a coveted invitation to the ‘social event of the season’ arrive by launch.